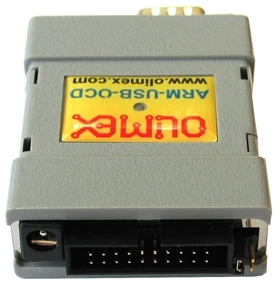 Fast speed USB 2.0 JTAG dongle interface, can be used with all ARM devices for programming and debugging. can be used as power supply to your target board with three jumper selectable power supplies: 5V 9V and 12VDC, USB source current is limited with resetable fuse at 300mA, at the differentoutput voltage the maximum current is different: 5V/200mA, 9V/100mA, 12V/70mA, note that this also depend on your USB host current capabilities, if other USB devices are attached to your computer or if the laptop is running on batteries these figures may be different and depend on your computer USB host. downloadable Windows installer for full featured and open source tools as alternative to the commercial ARM development packages: GCC C compiler, openOCD debugger and Eclipse IDE. (the old) ARM Cross Development with Eclipse (10MB) REV-3 very detailed tutorial by Jim Lynch how to setup and works with the free GNUARM tools LPC2106 board. The sample codes for this tutorial is here. ARM Cross Development with Eclipse in Spanish language (3MB) REV-1 Paul Aguayo did a great job translating to Spanish language Jim Lynch's tutorial. He also shrink the size of the document without missing the quality of the pictures and tutorial text. 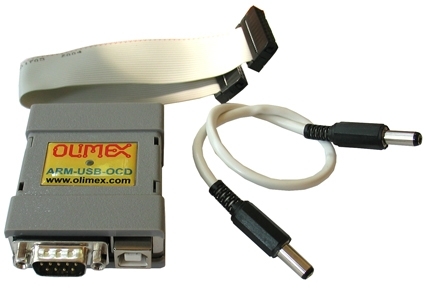 For the moment the only supported package is GCC C compiler + openOCD debugger + Eclipse IDE. 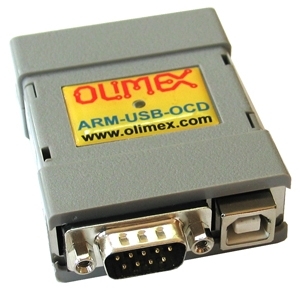 Olimex can provide the necessary information and cooperate with interested parties if they want to add low cost USB debugger support to their C compilers and IDEs.